An old man was planting a mango seedling. A passer-by was surprised to see it and enquired from him as to why he is planting mango seedlings in old age. He will not be there to relish its fruits. He smiled and said he is doing it for his grandchildren. He was not aware that in the coming years there will be a drastic change in the socioeconomic environment. Grandsons will not be interested in eating mangoes. They will use tree as timber and land for building concrete jungle. A visit to the Botanical Garden Kondapur in Hyderabad reminds one of this story. One can practically feel the efforts of the grand old man who planed this garden and planted trees in a systematic way. On some of the trees plates depicting genus and family are still visible. The dying teak tree in the very beginning of the garden near the toddlers play area is visible. The tree trunk is still doing its duty and supports an electric wire and a chord. Weeping Indian gum tree nearby is attacked by an insect Inderbella. Sandalwood tree has lost its glory and died. Ill kept roses forgot to bloom. Evan the Triumph variety has been overpowered by diseases, pests and weeds. Trees are doing their best to survive by producing new shoots from dried trunks but in the absence of support from human beings they will not be able to live. The grand old man must have thought of water shortage in Hyderabad and had provided huge water ponds which can collect rain water and this water reservoir can provide water to the plants in summer months. Still sign boards lying on the ground warn parents of the depth of the pond. But alas no one cared to keep them in proper shape. Still some water and birds are visible in the deeper tank. The shallow tank is now playground for the dogs. One part of the garden has been devoted to the cultivation of cacti. Very good collection and arrangement is visible. But probably there is a misconception that cacti do not require attention. Some have died and the others are struggling. Their worth can be guessed from the fact that even in this neglect they are producing flowers. A beautiful glass house in the shape of a tortoise looks magnificent nearby. But please see it only from a distance. Inside there are only empty glass jars and boxes. Botanical garden is still serving its purpose. Visitors come here daily to breathe fresh air, do exercises, play badminton or escape from the city noise. An effort is being made to save the garden by hanging a signboard in one corner of the garden and collecting some money from the morning walkers for fighting court cases to save botanical garden. But is anyone worried about the upkeep of the trees and the garden? Someone should respect the dream of the man who planned and build this beautiful garden. 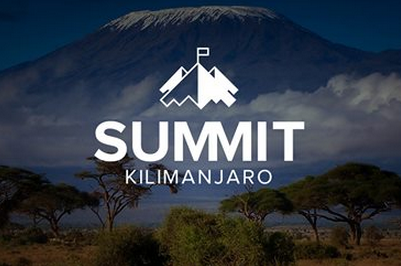 Get GHAC Founder Diyanat Ali to climb the Mount Kilimanjaro in Africa.